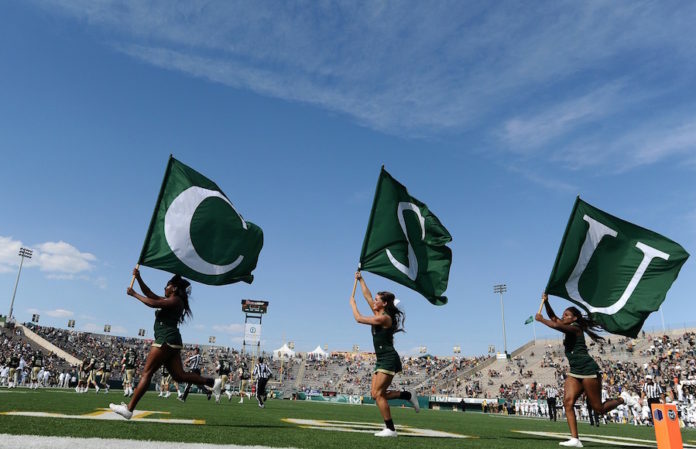 Colorado State announced today three additions to future football schedules, adding a home-and-home series to the 2022 and ’23 schedules and completing the 2021 non-conference slate. The Rams will play a home-and-home series with Conference USA member Middle Tennessee, with the home game scheduled for Sept. 10, 2022 at Canvas Stadium in Fort Collins, and the road contest at Middle Tennessee on Sept. 23, 2023. Colorado State has two other games already scheduled in 2022—at Michigan Sept. 3 and at Washington State Sept. 17—and two others in 2023, at home against Washington State Sept. 2 and at Colorado Sept. 16. The Rams and Blue Raiders have never met on the gridiron. Colorado State also added a Sept. 4, 2021 home date with South Dakota State to complete the non-conference portion of its 2021 schedule, which also includes a home game against SEC foe Vanderbilt (Sept. 11), and road games against MAC opponent Toledo (Sept. 18) and the Big Ten’s Iowa (Sept. 25). Colorado State is 2-0 all-time against South Dakota State, winning at home in 1965 and at South Dakota State in 1966. Middle Tennessee has played in a bowl game in each of the last four season, and in 2018 reached the Conference USA championship game for the first time after winning their first C-USA East Division title. The Blue Raiders went 8-6 and played in the R+L Carriers New Orleans Bowl, falling to 11-2 Appalachian State. South Dakota State finished third in both major Football Championship Subdivision polls in 2018 after its second consecutive national semifinal appearance. The Jackrabbits were 10-3 and made their seventh consecutive postseason appearance. 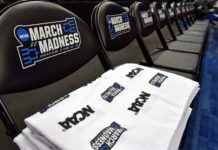 Colorado State has 25 non-conference games secured on their 2019-2028 schedules, including 18 against schools from conferences designated in the Power 5 (ACC, Big Ten, Big 12, Pac-12, SEC). Seven of those 18 games will be played in Fort Collins at Canvas Stadium . The Rams have home-and-home series with Colorado, Vanderbilt (4 games), Washington State, Texas Tech and Arizona; the away portion of a home-and-home with Oregon State, a single home game and a neutral home game against Colorado, and road games at Arkansas, Iowa and Michigan. In all, Colorado State has 12 non-conference home games scheduled. Colorado State’s non-conference schedules are complete for 2019, ’20 and ’21, with just one game remaining to be scheduled in both 2022 and ’23. Future Mountain West schedules will be released one year at a time by the conference.